A stairlift is a great way to add convenience to your home if you are unable to scale the stairs; but if you have a smaller stairway, you may be having a difficult time finding the perfect stair lift for you. Some stairlifts can be quite large and bulky, so it is important to find one that is compact, if you know that you want to add one to your home. An inability to climb the stairs in your home can be frustrating and discouraging, but a compact stairlift will allow you to explore your home freely without the assistance of others. All of our stairlifts are compact and as close to the wall as possible, but some of them save more space than others. For example, the Indy Pinnacle is one of our more compact stairlifts, making it a great choice for those who don’t have incredibly wide staircases. But just because the Indy Pinnacle is compact doesn’t mean that it lacks in quality or comfort. 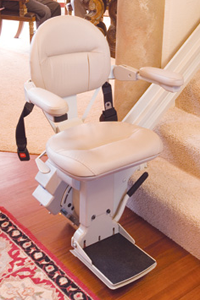 This stair lift is just as comfortable as some of our larger models while saving space in your home. 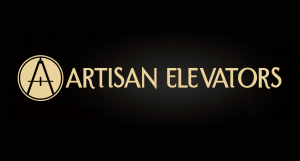 By browsing our stairlift selection online or contacting our customer service department today, you will be able to find an excellent section of compact stairlifts that will look excellent in your home without appearing to be too bulky. You will no longer be restricted to one floor of your home, but instead will be able to move about the floors as freely as you’d like. By simply sitting on your compact stairlift and pressing a button, you will be able to ascend and descend stairs at your leisure. Don’t worry about your stairlift taking up too much room in your home; instead, look forward to all of the freedoms that you will have thanks to your stairlift. By purchasing a compact stairlift, you will barely notice the addition to your home, except when you are using it, of course.